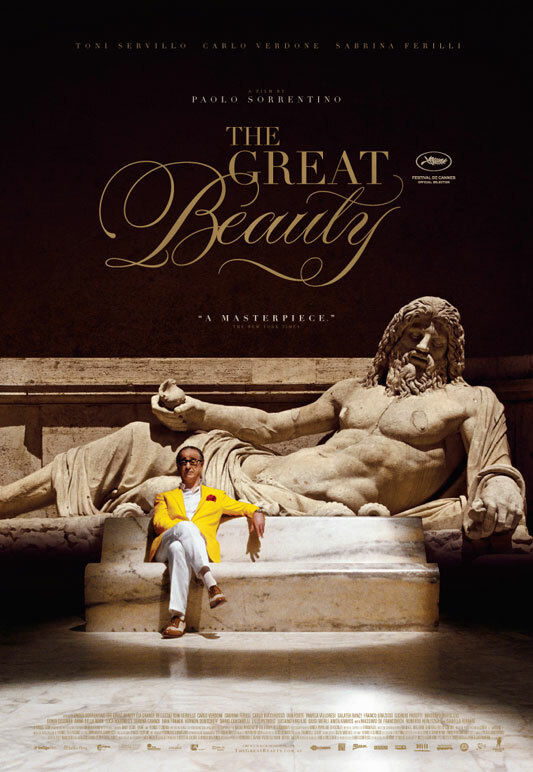 As you can see from this publicity poster, The Great Beauty explores the presence of Italy’s monumental culture and beauty in the present day – how their incredible power can be overwhelming, even paralyzing, in an Italian society intensely anchored in the past. In my book My Two Italies, I discuss how (if!) a Renaissance city like Florence can have a “modern” afterlife [read more here]. Sorrentino’s film also asks us to think about how Italian culture and art, so justly celebrated throughout the world, can be a burden as well as a blessing to the Italian people, who are surrounded everywhere by glories of the past that can sometimes crowd out the present. This entry was posted in General and tagged Academy Award, Dolce Vita, Fellini, Grande bellezza, Great Beauty, Italian art, Italian culture, Italian film, Italian life, Italy, Joseph Luzzi, My Two Italies, Renaissance, Rome, Sorrentino by josephluzzi. Bookmark the permalink. This sounds like a must view and interesting in light of the book I just read The Italian Chapel, which could be said to demonstrate the need by the Italians to create something of beauty to balance the deprivation of being cast away on a Scottish Island, whilst they were POW’s during the second world war. Like an instinct to recreate that which they have left behind, when the landscape and surroundings are devoid of that which they are so familiar.